Back in 2015, I was lucky enough to win a 7 night stay to Madeira at icelolly.com's Blog At The Beach event in Leeds. I jetted off in March this year and after travelling to this Portuguese Island, I can safely say all my expectations of the island were completely blown out of the water. I expected it to be filled with OAP's and Madeira Cake (suffice to say, it was pretty hard to find the local sweet treat anywhere!) 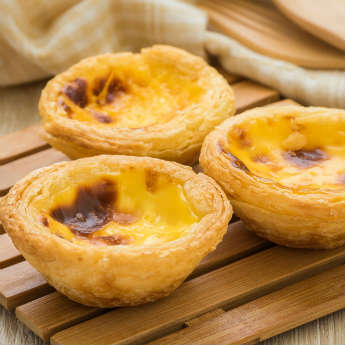 but on further discovery it could not have been farther from the truth and I am here to guide you through the top 5 things to in Madeira and let you in on its best kept secrets. Since my husband and I returned home, not a week (sorry, a day!) goes by that don't we utter the words "Steak on a Stone" to one another. Think of the best meal you ever ate, then times it by a trillion and then you'd have this legendary Madeiran meal. We were recommended a little place called Solar Da Ajuda which was only a couple of minutes away from our hotel (the Pestana Ocean Promenade Hotel) hidden up a side street, this didn't seem to put off anyone from visiting as it was always busy. This hidden gem is tightly packed and not very fancy but what it lacks in decor it certainly packs a punch with the steaks. 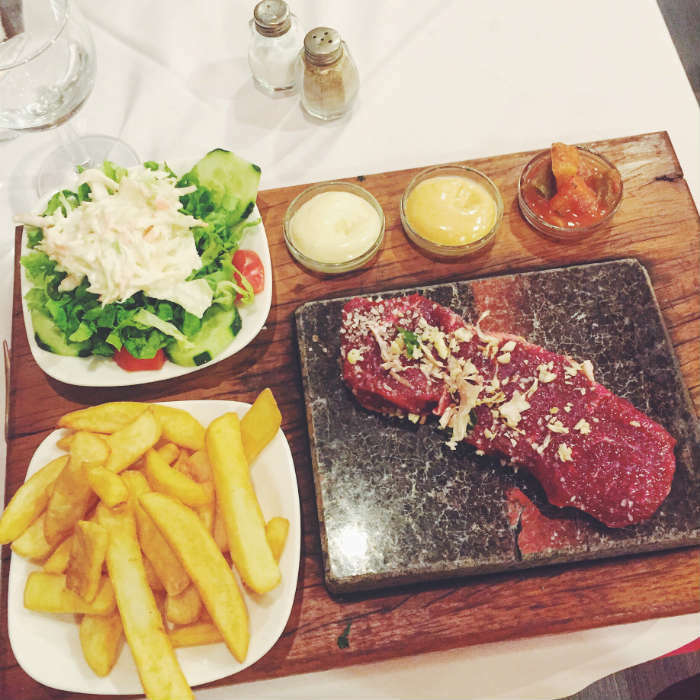 Choose from rump or sirloin then the weight and within about 15 minutes you are brought a slab of stone (on a wooden tray) and guided through how to cook your own steak on a stone. As a rare meat lover, I was in heaven. It's very rare (sorry for the pun!) that you ever find somewhere that can cook a steak to your exact tastes. Well, although the chefs didn't quite cook it, they has seasoned it well and set us on our way to eating two of the best meals of our lives. 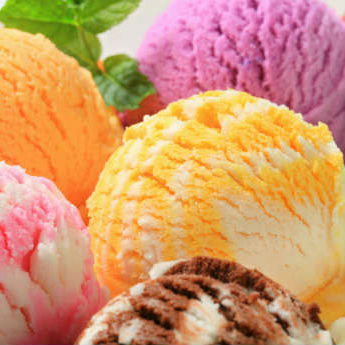 I think I'd just hop on a plane, on an eight hour round trip to eat that again! You'll probably be using the capital, Funchal, as your base. Some people like to stay within their resort, others like to get out and about and explore. We fall in to the latter category. If you are going to take a trip to anywhere on the island, make it the East Coast. 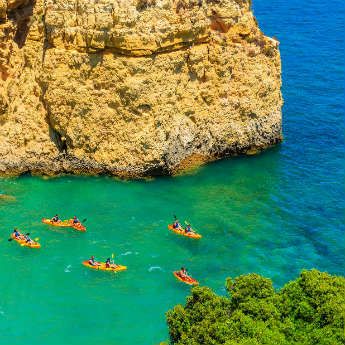 It's filled with some of the most beautiful views, rugged coastlines and traditional villages that you almost feel like you are on the other side of the world. Santana is home to the traditional Madeiran houses which you may have seen on my instagram takeover for icelolly.com - these colourful thatched houses are far too cute and I want to move in! I'd highly recommend taking a jeep safari trip (as opposed to a mini bus) because you get taken off the beaten track and it's good fun! I think it's customary that if you visit a foreign country you are obliged to drink the local spirit. 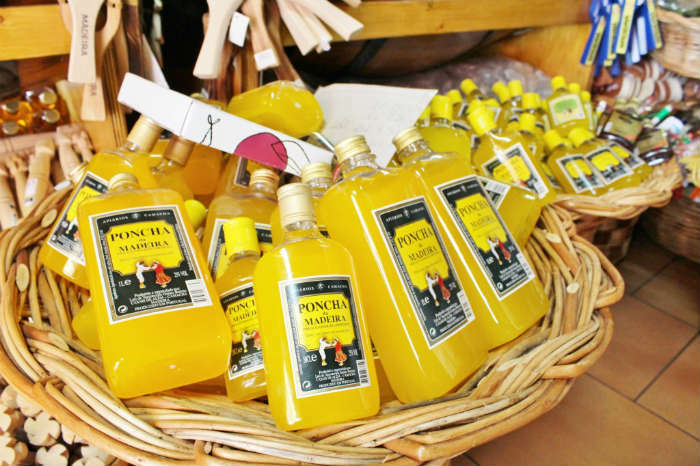 Luckily for us, Poncha is a pretty lovely (if not potent) drink. Everywhere you turn you'll see bottles of the yellow stuff which is made with distilled alcohol made from sugar cane juice, honey, sugar, lemon and traditionally lemon juice is used, however, different fruit juices can be added - we came away with a blackberry version which is so easy to sip! I kick myself every time I think about this, I'd not really thought ahead and we bought a return ticket on the cable car on our first day as it was the first thing that popped in to our mind that day. As we arrived at the top we quickly realised that this was where you could get a famous toboggan ride down to Funchal. At around 40-50 euros per toboggan we hadn't brought enough for us to do this, so instead watched everyone scream and laugh down the hill. I can imagine it was super fun. Instead we sipped on some ice cold beers taking in the vast view before taking the cable car back down again. You'll also find the Tropical Gardens in Monte too! Okay, okay, what Madeira lacks in beaches it certainly makes up for with diverse landscape and scenery and it's not to be missed. Nuns Valley is a half day tour which takes you to a spectacular viewing point that looks over a basin-like village right in the middle of the mountains. It's a really surreal experience, but one that's out of this world. As you wind your way up the valley it is a little bit toe-curling and you might be glad to reach the bottom where you can relax with some poncha and some local, home made chestnut cake. If you are lucky you might see a church service too! 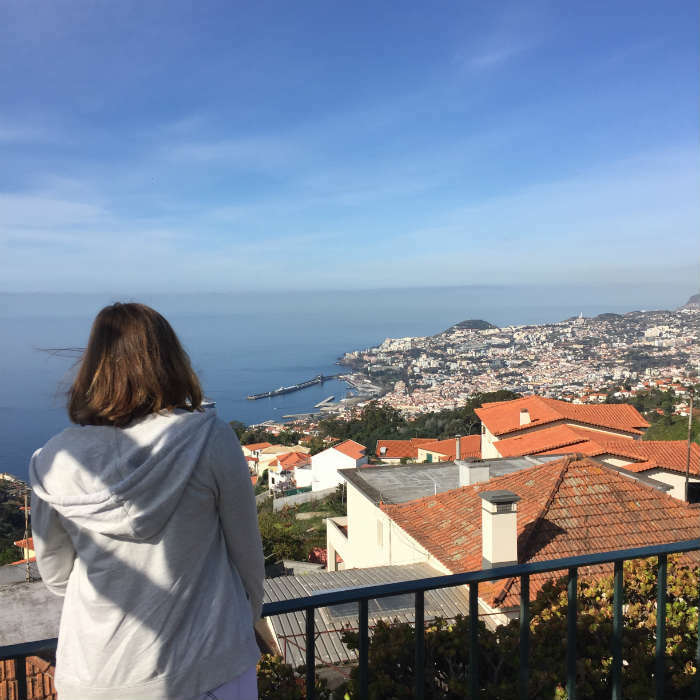 Thank you to Bee who wrote this post about her holiday to Madeira! 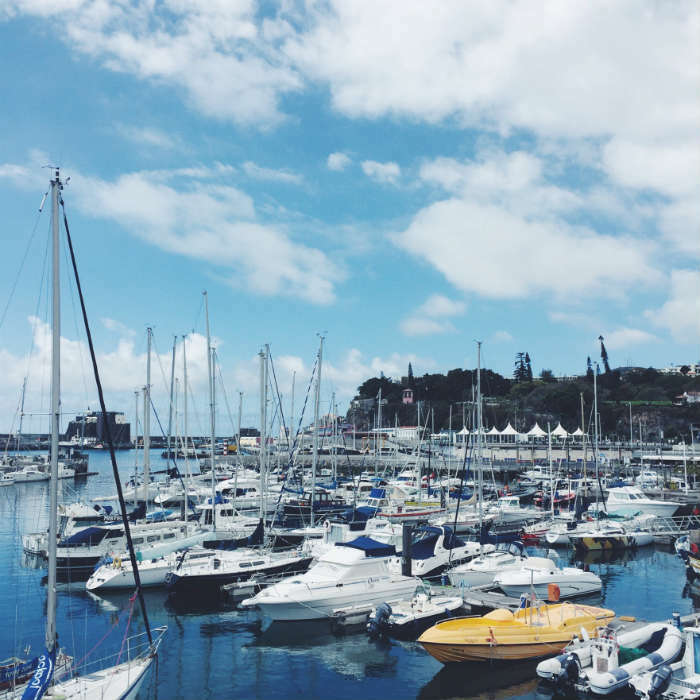 Go check out her blog, Queen Beady, for more of her adventures on this Portuguese island! 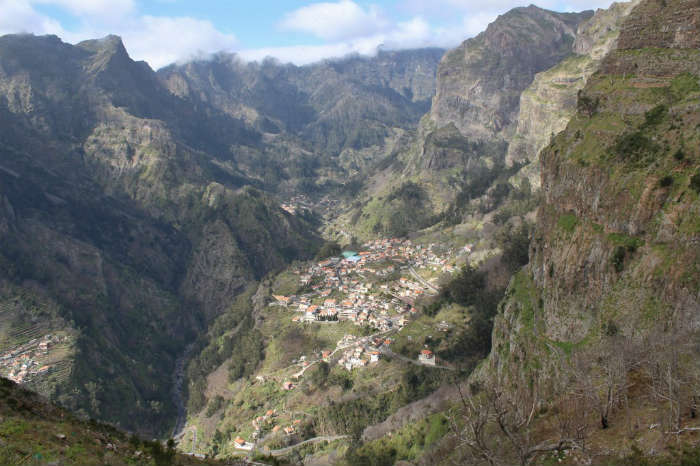 Have you been to Madeira before? If you have, we'd love to know where you went and what you experienced! Just let us know in the comments below!